The Newberry EGS Demonstration site is located on a federal geothermal lease just outside the Newberry National Volcanic Monument within the Deschutes National Forest. Land in this area has been recognized for its high geothermal potential since the 1970s, and since that time, local, state, and federal agencies have issued and monitored geothermal leases to several companies, including Davenport Power. 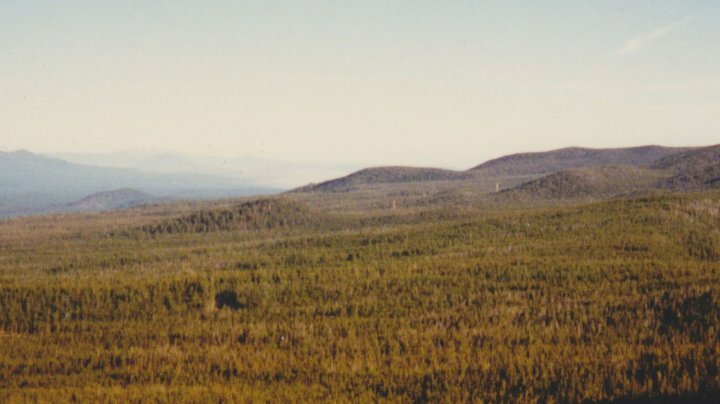 In 1989, a group of Central Oregon citizens, including local and state environmental groups, the timber and geothermal industries, and wildlife, recreation and tourism interests, found common ground in the need and desire to establish the Newberry Volcano National Monument and to transfer federal geothermal leases located in the monument area to the adjacent Deschutes National Forest. This citizens’ committee formulated legislation adopted by Congress in 1990 through the efforts of Oregon Congressman Bob Smith. The Newberry EGS demonstration is a product of the long-range vision of the Central Oregon citizens’ group. The demonstration will take place on the federal geothermal leases in the Deschutes National Forest, where geothermal exploration has been safely conducted for more than 25 years, outside the national monument. Davenport Power has been credited for its ongoing compliance to environmental safety standards and respect for public use of the surrounding lands with its existing test wells. The company is working closely and collaboratively with the Bureau of Land Management with regards to sump pond water quality and storage, and has placed chicken wire fencing around the ponds to deter snowmobilers from turning the area into a recreational hazard. Davenport Newberry is working with experts and researchers from some of the county’s top institutions (Lawrence Berkeley National Laboratory, U.S. Geological Survey, Texas A&M University, Temple University, University of Oregon and the University of Utah) and is being overseen by the Department of Energy, National Forest Service, Bureau of Land Management, and several state agencies. Over the next few years, many of the leased parcels within Deschutes National Forest will be up for renewal, and the companies responsible for the plots will need to decide whether they will continue work or fulfill obligations to return the land to its natural state. In addition to considering renewed leases for 16 existing geothermal leases, the U.S. Forest Service is exploring the possible addition of 13 new parcels for new geothermal exploration. Well down the line, the ideal outcome of the Newberry EGS demonstration would be the ability to harness clean, renewable, American-made geothermal energy from the site. But current attention is focused entirely on the scientific, technological, and logistical elements of the project’s day-to-day progress. No EGS development will be contemplated or planned until it has been demonstrated that it can be safely and efficiently produced. AltaRock Energy and Davenport Newberry will be periodically holding public forums to keep Deschutes County informed about the facts and progress of the demonstration, and to listen to concerns and questions. The first forum will be held on July 15 at 6 p.m. at the La Pine Senior Center located at 16450 Victory Way in La Pine. All interested individuals and parties are invited and encouraged to attend. I love this website. It’s full of relevant and straightforward information on an exciting venture.